Across the country, politicians are playing doctor — pushing for laws that intrude into exam rooms and conflict with professional and ethical standards of medical care. But this is no game. 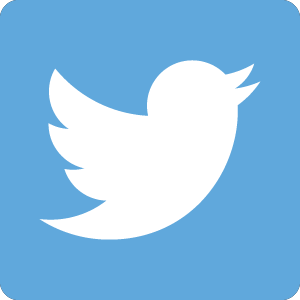 The laws they are passing put politicians’ words into the mouths of health care providers, prohibit providers from communicating important health information, mandate medically unnecessary procedures or outdated modes of care and much more. 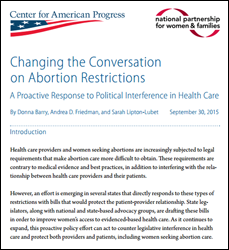 Below are resources for advocates, legislators, health care providers and others that show how political interference impacts multiple areas of care — abortion care in particular — and offer strategies for fighting back. 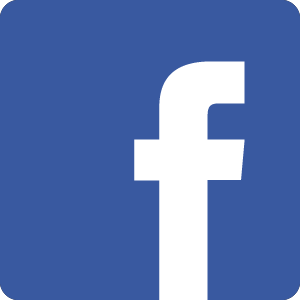 For more information, please contact Sarah Lipton-Lubet, Vice President for Reproductive Health Programs. 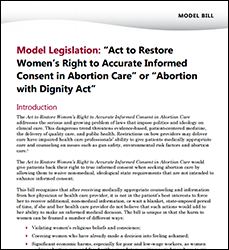 This report documents how, over time, disregard for science and evidence, coupled with hostility toward women’s dignity and self-determination, has translated into anti-abortion state laws across the country, and the very real harm these laws cause to women. This Texas-specific report details how anti-abortion lawmakers in the state are undermining quality abortion care by interfering in the patient-provider relationship and advancing an ideological agenda that flouts medical evidence and scientific integrity. 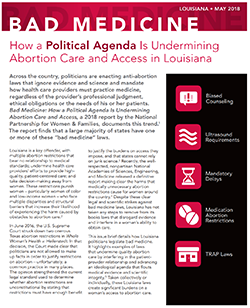 These state issue briefs highlight abortion restrictions that bear no relationships to medical standards; undermine health care providers’ efforts to provide the highest quality, patient-centered care; and take decision-making away from women. 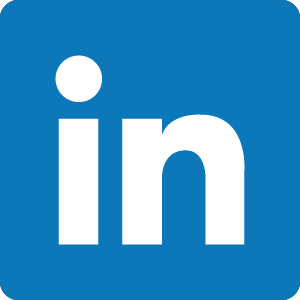 The National Partnership has released issue briefs for Kansas, Louisiana, Oklahoma and Wisconsin. This state fact sheet zeroes in on Louisiana’s admitting privileges requirement, which is currently in litigation. 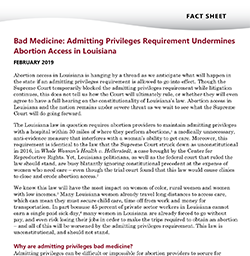 If this requirement goes into effect, it could have a devastating impact on abortion access in Louisiana. 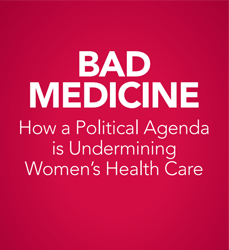 This report highlights how anti-abortion lawmakers in a majority of states have enacted laws that put ideology above women’s health care, contradict evidence-based practices and undermine the high-quality, patient-centered care that health care providers strive to achieve. 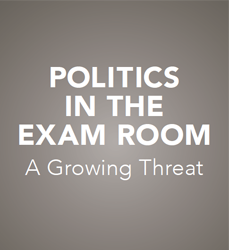 This report highlights three areas where political agendas have intruded into exam rooms in harmful ways: the clinical management of toxic exposures, reproductive health and gun safety. 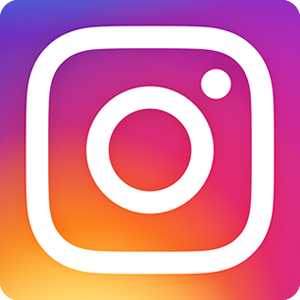 This issue brief discusses the potential of the Patient Trust Act as a proactive policy effort to counter legislative interference in health care and protect both providers and patients, including women seeking abortion care. 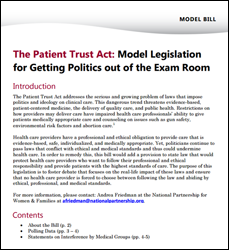 This document includes model legislation to combat political interference in the exam room. 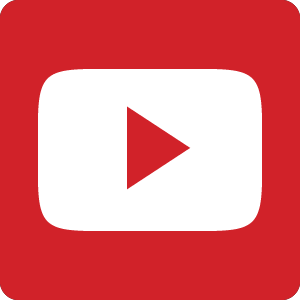 This document includes model legislation to combat political interference in health care by empowering the patient in the informed consent process.